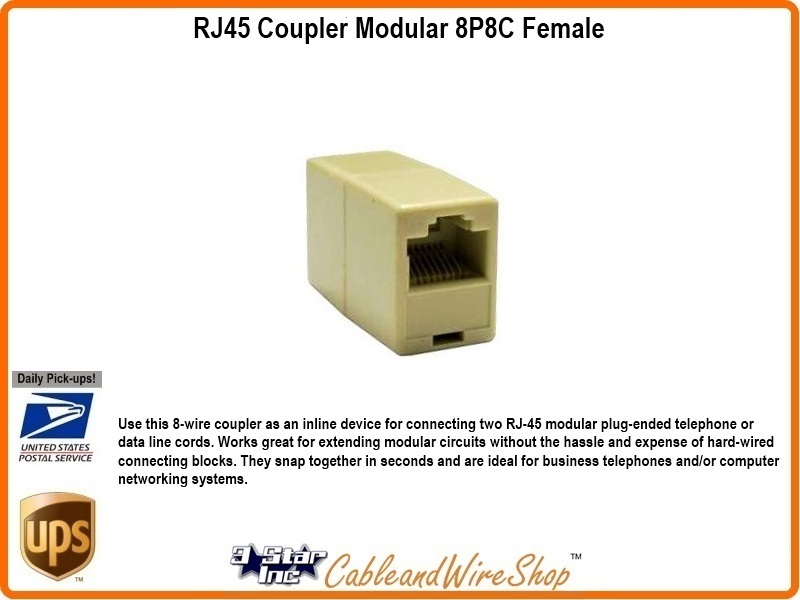 Use this 8-wire coupler as an In-Line device for connecting two RJ45 modular plug-ended telephone or data line cords. Works great for extending modular circuits without the hassle and expense of hard-wired connecting blocks. They snap together in seconds and are ideal for business telephones and/or computer networking systems.